Bihar Deputy Chief Minister Sushil Kumar Modi claimed that Rahul Gandhi has hurt the sentiments of crores of people who use "Modi" as their surname. 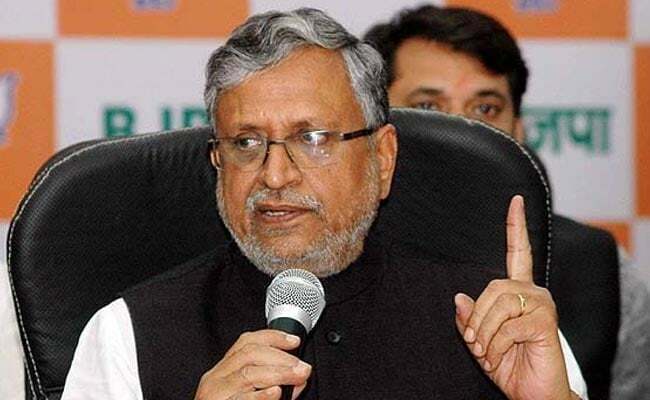 Sushil Kumar Modi hits out at Rahul Gandhi, asks if it was a crime to use Modi as one's surname. "I will file a defamation case against Rahul Gandhi in Patna High Court within two days," said Sushil Kumar Modi. The BJP leader claimed that Mr Gandhi has hurt the sentiments of crores of people who use "Modi" as their surname. The Deputy Chief Minister said, "He (Rahul Gandhi) has referred to crores of people with ''Modi'' surname as ''chor'' and hurt their sentiments." He asked if it was a crime to use Modi as one's title. "Is it a crime to have "Modi" as surname?" he asked. Rahul Gandhi, during a public address in Maharashtra on Monday, asked how come all "thieves" have Modi as their common surname as he attacked Prime Minister Narendra Modi of corruption. "But tell me one thing...Nirav Modi, Lalit Modi, Narendra Modi...how come they all have Modi as a common name. How come all the thieves have Modi as the common name?" the Congress chief had asked. The contempt petition accused Rahul Gandhi of misquoting the order when he said the top court had accepted that "chowkidar" (a reference to PM Narendra Modi), is a "chor (thief)".